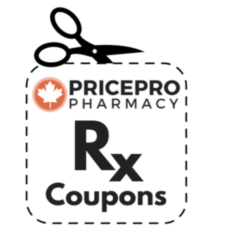 Take advantage of this Myrbetriq coupon, available only at our Canadian Pharmacy Online! 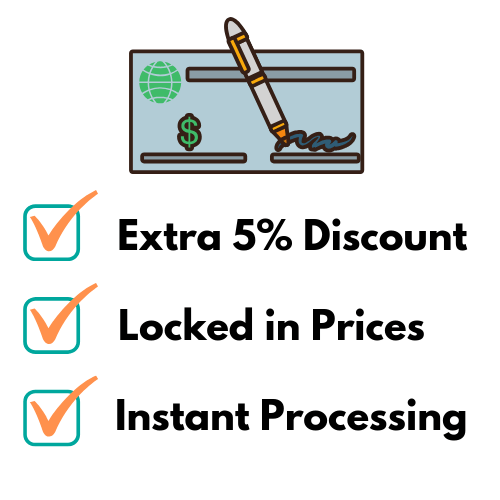 Coupon is applicable on your first order over $50. 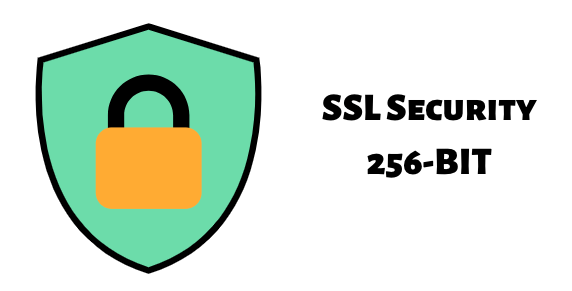 Coupon codes cannot be combined and are for one-time use only. Urgency incontinence (inability to control when you empty your bladder). Myrbetriq (Mirabegron) is offered in two dosages: Myrbetriq 25mg and Myrbetriq 50 mg both manufactured by Astellas Pharma. Myrbetriq 25mg tablet is an oval shape and brown color extended-release tablet with the Astellas logo and "325" marking while the Myrbetriq 50mg tablet is also has oval shape but is a yellow color extended release tablet with the Astellas logo and "355" marking. Currently there is no generic Myrbetriq available on the market. At PricePro Pharmacy you can buy Myrbetriq online by placing an order online or over the phone. It is important to note that a prescription is required to process the order. 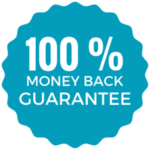 Myrbetriq 50mg cost is $58 for 30 tablets to $150 for 90 tablets. If you need more assistance with how to order Myrbetriq refer to our online guide. Take Myrbetriq (Mirabegron) as directed by your physician. Myrbetriq (Mirabegron) may be taken with or without food and should be taken with a full glass of water. Do not crush or cut the pill, as it should be orally taken as a whole. 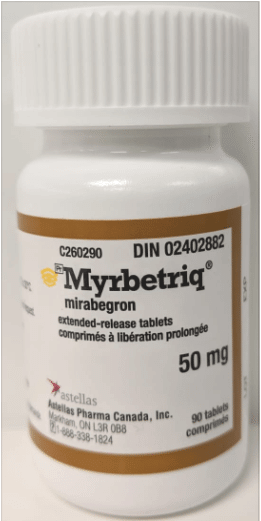 The dosage will vary, and the prescription dosage will be dependent on the treatment determined by your physician; however, do not take more than the maximum daily dosage of Myrbetriq (Mirabegron) 50 mg. If you are experiencing or suspect an overdose, immediately contact an emergency healthcare professional or poison control. Even if you are not experiencing symptoms, seek medical attention. In the case you miss or forget to take your medication, continue to take your medication at the normal time. Do not take more than one dose at the same time. If you miss several doses, contact your doctor to see how to take Myrbetriq (Mirabegron) moving forward. If you experience any unexpected effects while taking Myrbetriq (Mirabegron), contact your physician or pharmacist. Ischemic heart disease or higher than normal heart rate. Patients under 18 years of age should not take Myrbetriq (Mirabegron). Tell your medical professional about all of the medications you are taking. Do not forget to include herbal supplements and vitamins. You may need to alter or stop taking one or more of your medications to prevent a reaction with Myrbetriq (Mirabegron). Medications that result in a prolonged QT/QTc interval or cause torsade de pointes. To avoid interactions with Myrbetriq (Mirabegron), it is important to keep a list of all your medications and to share the list with your medical health professionals and pharmacists. Maintaining a list of your medications will help you to remember the drugs you are taking when asked. In an effort to avoid interactions.